Book 4 nights at the Barong Bali Hotel at Kuta Beach and enjoy the 5th night completely free. Rates for the payable nights start from USD71 for a Superior Room with breakfast for two people. This is the nett price inclusive of all taxes and service charges. Guests can upgrade to a higher room class for an additional charge. The “Stay 5 Pay 4” promotion is available until June 30, 2012. The Barong Bali is a mid-range hotel located in the middle of vibrant Kuta Beach, Bali. The hotel offers modern guestrooms, two swimming pools, a restaurant, and in-house massage. Superior Rooms are furnished with one double or two twin beds and offer satellite TV, mini-bar, ensuite bathroom, and a private balcony. Visit http://www.barongbalihotel.com for more information or to make an online booking. 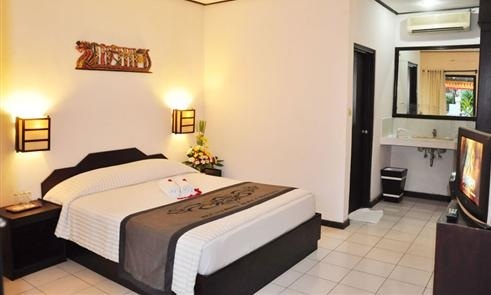 The Barong Bali hotel can also be contacted by calling (62) 361 751804 or emailing info@barongbalihotel.com.